If hunger is that feeling that reminds us to seek food, then eating relieves hunger, albeit until the next snack or meal. The capacity of a food to reduce the experience of hunger is called 'satiating power' or 'satiating efficiency.' This power is the product of the body's handling of the nutritional composition and structure of the food eaten. It follows that some foods will have a greater capacity to maintain suppression over hunger than other foods. The distinction between hunger and satiety is both conceptual and technical. As hunger diminishes, satiety rises. But it is useful to further separate those events that occur across the course of a meal from those between meals. In this way the process of satiation can be clearly distinguished from the state of satiety. Satiation can be regarded as the process that develops during eating and that eventually brings a period of eating to an end. Accordingly, satiation can be defined in terms of the measured size of an eating episode (such as its energy, weight, or volume). Hunger declines as satiation develops and usually reaches its lowest point at the end of a meal. Satiety is defined as the state of inhibition over further eating that follows at the end of a meal and that arises from the consequences of food ingestion. The intensity of satiety can be measured by the duration of time until eating starts once more, or by the amount consumed at the next meal. The strength of satiety is also measured by the time that hunger is suppressed. And as satiety weakens, hunger is restored. In examining the mechanisms responsible for suppressing hunger and maintaining its low state, it is clear that they range from those that occur when food is initially sensed to the effects of metabolites on body tissues following the digestion and absorption of food (across the wall of the intestine and into the bloodstream). By definition, satiety is not an instantaneous event but occurs over a considerable time period. The different phases of satiety and their associated mechanisms are shown in Figure 2. 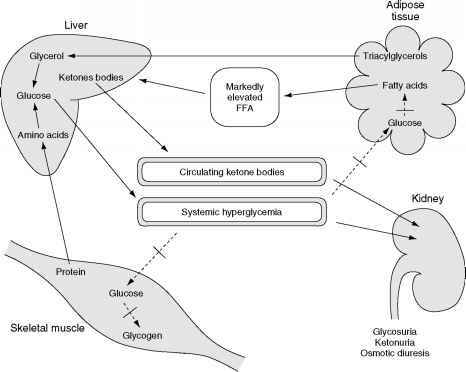 Figure 2 A representation of the satiety cascade showing the different phases of satiety and their associated mechanisms. Sensory effects are generated through the smell, taste, temperature, and texture of food, and it is likely that these factors have effects on eating in the very short term. Cognitive influences represent the beliefs held about the properties of foods, and these factors may also help inhibit hunger in the short term. The category identified as postingestive processes includes a number of possible actions, such as gastric distension and rate of emptying, the release of hormones such as cholecystokinin, and the stimulation of certain receptors along the gastrointestinal tract. The postabsorptive phase of satiety includes those mechanisms arising from the action of metabolites after absorption into the bloodstream. These include the action of glucose and amino acids, which act directly on the brain after crossing the blood-brain barrier, and which influence the brain indirectly via neural inputs following stimulation of peripheral chemoreceptors. The most important suppression and subsequent control of hunger is brought about by postingestive and postabsorptive mediating processes. It follows from this framework that foods of varying nutrient composition will have different effects on the mediating processes and will therefore differ in their effects on hunger, satiation, and satiety. 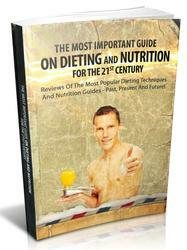 There is considerable interest, for example, in whether protein, fat, and carbohydrate differ in their satiating power. The balance of evidence shows that per unit energy, protein (within normal dietary limits) has the greatest satiating efficiency of all the macronutrients. This is particularly true in short-term studies and is observed in lean and obese subjects alike. Longer term evidence of this effect is currently lacking. However, of great practical and theoretical interest is the comparative effect of carbohydrate and fat since they form the majority of our routine energy intake. Research shows that carbohydrates are efficient hunger relievers. A variety of carbohydrates, including glucose, fructose, sucrose, and maltodextrins, all suppress later test meal energy intake. This suppression is roughly equivalent to their energy value, although the time course of this effect varies according to the rate at which they are metabolized. In contrast, high-fat foods appear to stimulate energy intake (in contrast to low-fat, high-carbohydrate foods), or at least have a disproportionately weak action on satiety. The mechanisms responsible for this may include the effect of fat-promoting food palatability, the high-energy density of fat, and the absence of inhibitory feedback from body fat stores. Taken together, these findings show why diets high in fat can promote weight gain and lead to obesity.